An attraction located just off the Causeway Coastal Route, Whiterocks Beach, a three-mile beach just outside Portrush town. It is a must-see for anyone looking for picturesque locations in Northern Ireland. The beach derives its name from the white limestone cliffs surrounding it. 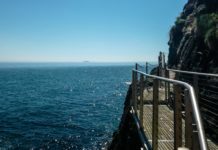 It offers panoramic views of the Causeway Coast, Donegal and the Islands of Scotland. 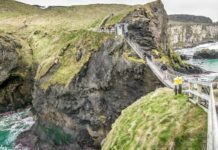 Its majestic limestone cliffs stretch all the way from Curran Strand to Dunluce Castle, carved into a labyrinth of caves and arches over the past few centuries. Several distinguishable forms seem to rise out of the ocean, and so they have been aptly named Shelagh’s Head, the Wishing Arch, Elephant Rock and the Lion’s Paw. The area is filled with caves, accessible only from the sea, that house beautiful birds. Throughout the year, Whiterocks Beach attracts water sports enthusiasts, including swimming, surfing, paddle boarding, diving, horse riding, kayaking, fishing, and boating. Sports equipment is available for hire as well. Whiterocks Beach is also perfect for walking or strolling by the sea or horse riding. Whiterocks Beach won the Blue Flag Award more than once, maintaining its status as a favourite spot for locals and visitors from elsewhere. They mainly seek to enjoy an uninterrupted view of the stunning natural coast, cliffs and caves. Whiterocks Beach boasts several walking trails that are suitable for hiking. 6.6 miles from Portrush to Bushmills. 33 miles on the Causeway Coast Way. From May to September, horses are not allowed on this beach between 11am – 7pm. Otherwise, tourists and locals can enjoy an invigorating horseback riding journey along one of the most magnificent beaches in Northern Ireland. Whiterocks Beach is considered as a suitable surfing beach for beginners to intermediates. The area around Whiterocks Beach is not without history, as you can spot several shipwrecks along the coast, each with its own history and background story. The beach is a perfect destination for a family trip during the Summer or a cool walk during the colder season. It has plenty of opportunities for children to run around, play in the sand and have fun in the beautiful waters, as their parents lay back and relax or go for a round of golf at the nearby pitch. It is also perfect for picnics. You can climb to the very top of the rock formations to check out the panoramic view of the beach and perhaps take some stunning pictures along the way. Portrush is a small seaside resort town in County Antrim, Northern Ireland. It had a population of 6,454 and in the off-season, it becomes home for the students attending the nearby University of Ulster at Coleraine. The town is well known for its three sandy beaches, the West Strand, East Strand and White Rocks. In addition to the Royal Portrush Golf Club, the only golf club outside of mainland Great Britain which has hosted the Open Championship. Although archaeological findings prove that the town was quite wealthy before the 17th century. Following the Wars of the Three Kingdoms Portrush became a small fishing town. By the 19th century, it grew to become a popular tourist destination, following the opening of the Ballymena, Ballymoney, Coleraine and Portrush Junction Railway in 1855. 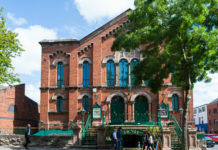 By the beginning of the 20th century, it had already transformed into one of the major resort towns in Northern Ireland, as it included a number of large hotels and boarding houses. If you are still a beginner and are unsure how to surf, then be sure to visit one of the surf schools along the beach and begin the amazing adventure in the water right away with confidence! The largest theme park in Northern Ireland, it is situated in the centre of the town of Portrush, County Antrim. It is considered to be a popular family attraction for visitors to the area. The theme park was first established in 1925 when travelling members of the Chipperfield and Trufelli circus were invited by the local railway company to permanently locate in Portrush. The name ‘Barry’s’ is based on an early supplier (Barr). The amusement park is mainly open on a seasonal basis, from Easter Monday until the first week in September. The Skerries are a small group of rocky islands just off Portrush, County Antrim, on the north coast of Northern Ireland. The large Skerry island is named Winkle Isle, while the small Skerry is known as Castle Isle. The islands have also been part of an Area of Special Scientific Interest (ASSI) since 1996. As they are a habitat for breeding by a range of seabirds including kittiwake, black guillemot and eider duck. They are also home to particularly interesting fauna. It is the only place where many southern species are found in Northern Ireland. Such as the cotton spinner sea cucumber. Moreover, there are several protected habitats, notably seagrass and horse mussel. The private golf club in County Antrim contains 36 holes and has two links courses. The former is one of the courses used in the Open Championship rota. It will once again host the tournament in 2019. That’s something that will bring a lot of excitement and tourists to the area. In 1951, Royal Portrush hosted the Open Championship, the oldest golf major championship; the only Open not held on the island of Great Britain. It hosted the Irish Open in 2012, the first one to be held in Northern Ireland since 1953. The Visitor Information Centre provides free tourist information for locals and visitors to the area, so that they may explore the Causeway Coast and Glens and Northern Ireland. They offer a wide variety of services, including guides to visitor attractions, accommodation, events and transport timetables. In addition to tickets for local events, maps, and an accommodation booking service. The Center is located in the Portrush Town Hall. 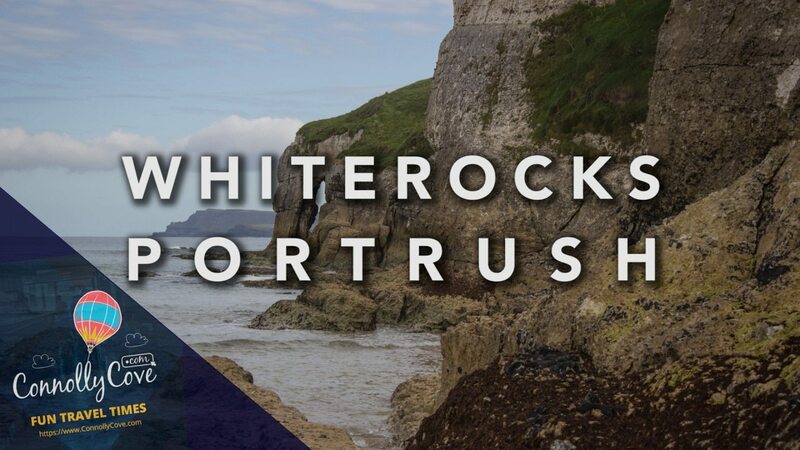 Taking a trip to Whiterock beach in Portrush means you also close to all those other attractions in the area. A few days spent up on the north coast is one that will not be quickly forgotten or leave you bored. White Rock Beach is one of the beaches in Portrush - close to Portstewart , it is a perfect stop off point for anyone travelling the Causeway Coastal Route. 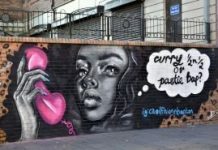 Next articleDANNY BOY SONG – Lyrics, History and What Oh Danny Boy is About!